It’s a day to remember all those fallen soldiers in war. A memorial day. 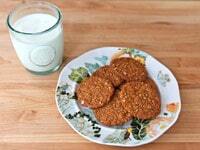 There is a tradition here to bake and eat “Anzac Biscuits.” They are delicious. 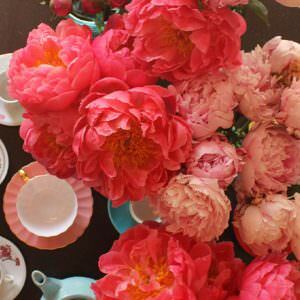 Just thought you may look into it online and also find a recipe and share this day with your fans. This was a new one to me, and I got inspired. I found a traditional Anzac Biscuit recipe from the Australian Department of Veteran’s Affairs. After a quick search for treacle (aka golden syrup) at my local gourmet market, I was able to whip up a batch in half an hour. The Anzac tradition—the ideals of courage, endurance and mateship that are still relevant today—was established on 25 April 1915 when the Australian and New Zealand Army Corps landed on the Gallipoli Peninsula. It was the start of a campaign that lasted eight months and resulted in some 25,000 Australian casualties, including 8,700 who were killed or died of wounds or disease. The men who served on the Gallipoli Peninsula created a legend, adding the word ‘Anzac’ to our vocabulary and creating the notion of the Anzac spirit. In 1916, the first anniversary of the landing was observed in Australia, New Zealand and England and by troops in Egypt. That year, 25 April was officially named ‘Anzac Day’ by the Acting Prime Minister, George Pearce. Since this was my first time making Anzac Biscuits, I wasn’t quite sure what to expect. Turns out they are pretty tasty! They’re less like a cookie and more like a British biscuit (though not as crisp as a digestive biscuit)– they bake up soft, but as they cool they become chewy. The less you bake them, the softer they turn out. I baked them for about 12 minutes– next time I’ll try 10, and remove them from the oven when they’re only lightly golden. They come out of the oven super soft, but they firm up in a matter of minutes. They’ll even stay firm after dunking in tea or coffee. 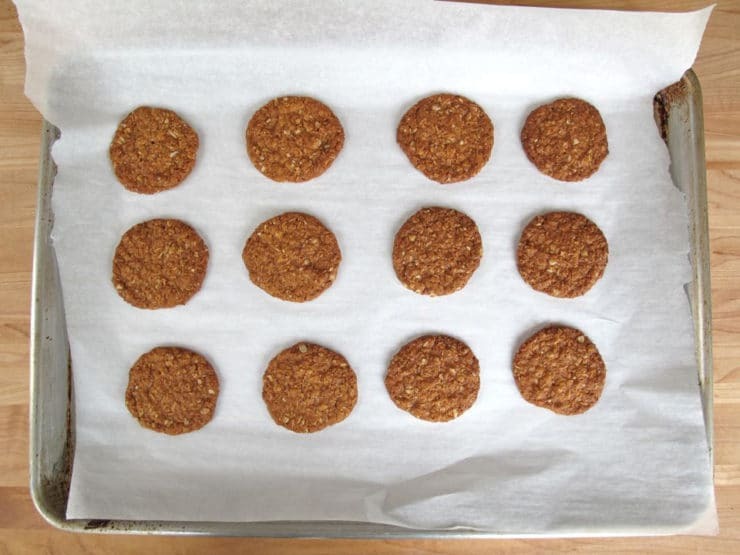 After reading up on the biscuits, I’ve found that some Anzac Biscuit recipes produce a softer, more cookie-like texture, while others produce a crisper result. This recipe seems to be right in the middle– firm, but chewy. I only made two changes from the original recipe: I toasted the coconut, and I added 1/4 tsp of salt to the mix to play off of the sweetness of the syrup and sugar. It’s important to note that Australian tablespoons are slightly bigger than American tablespoons– an American tablespoon is 3 teaspoons, whereas an Australian tablespoon is 4 teaspoons. I’ve accounted for the measurement difference in the recipe. If you’re having trouble finding golden syrup (aka treacle), I’m guessing maple syrup would work fine and probably give a nice maple flavor to the biscuits. It won’t taste exactly the same, but it’s a workable sub. Wishing all my Aussie readers a meaningful Anzac Day! Preheat oven to 350 degrees F. Line a baking sheet with parchment paper (these biscuits can be quite sticky, so I really recommend the parchment paper if you have it). 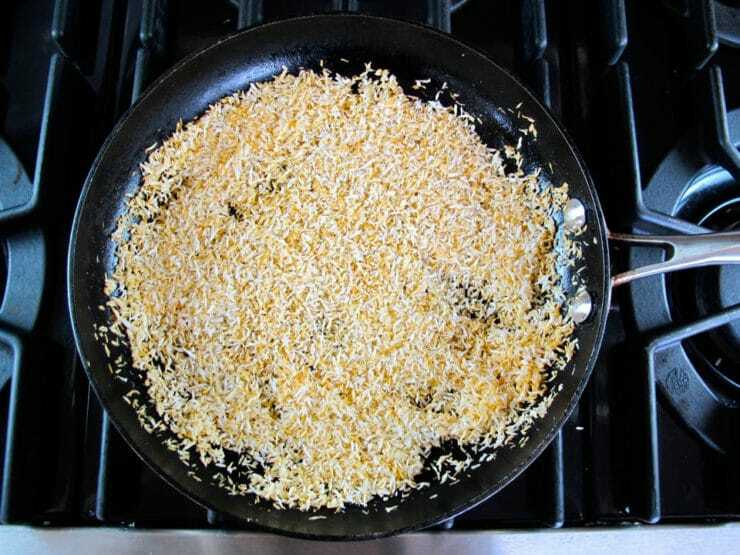 If you'd like to toast your coconut, pour the shredded coconut into a skillet and heat slowly over medium, stirring constantly, till the flakes begin to turn golden brown. Watch it very carefully, the coconut can go from brown to burnt in a matter of seconds. 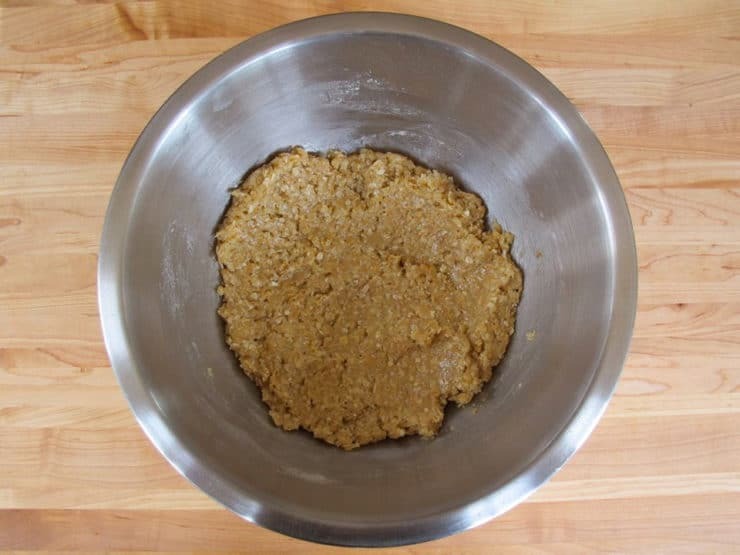 When it's browned to your liking, immediately pour it into a large mixing bowl. 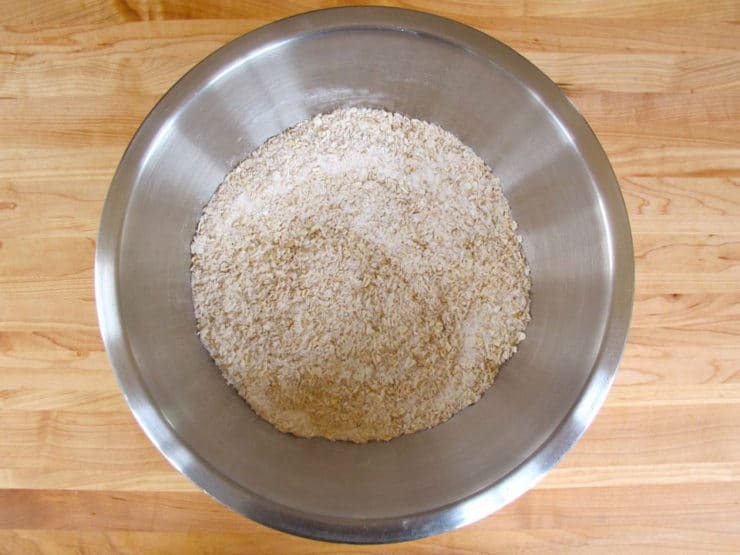 Add the flour, sugar, rolled oats, and salt to the large mixing bowl and stir to combine. In a small saucepan, melt the butter and the treacle together, whisking till well combined. Remove from heat. 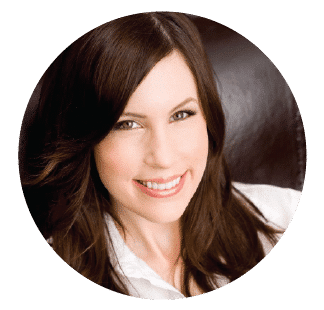 In a small bowl, combine the baking soda with the boiling water, stir to combine. Add the soda and water to the melted butter and treacle. 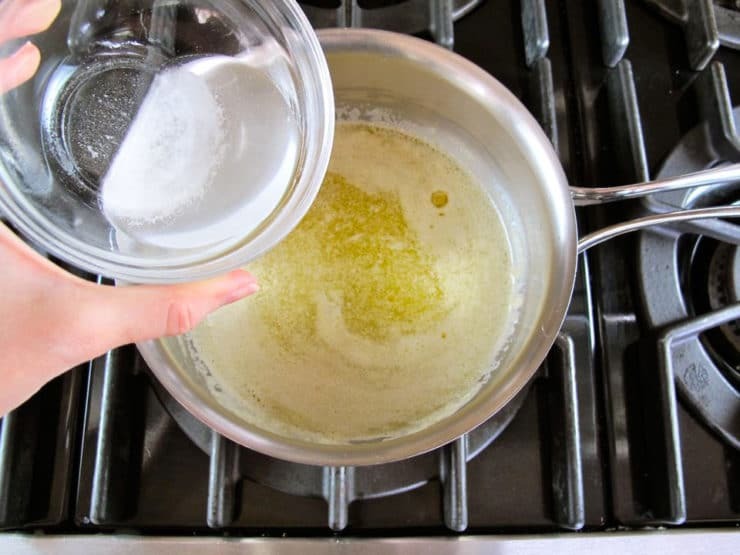 Pour the melted butter mixture into the dry ingredients and stir till well combined. If the mixture seems to dry, add a little more water (I added about a tablespoon). Drop the dough in heaping teaspoonfuls onto the lined baking sheet, leaving plenty of room for spreading (they will spread quite a bit). 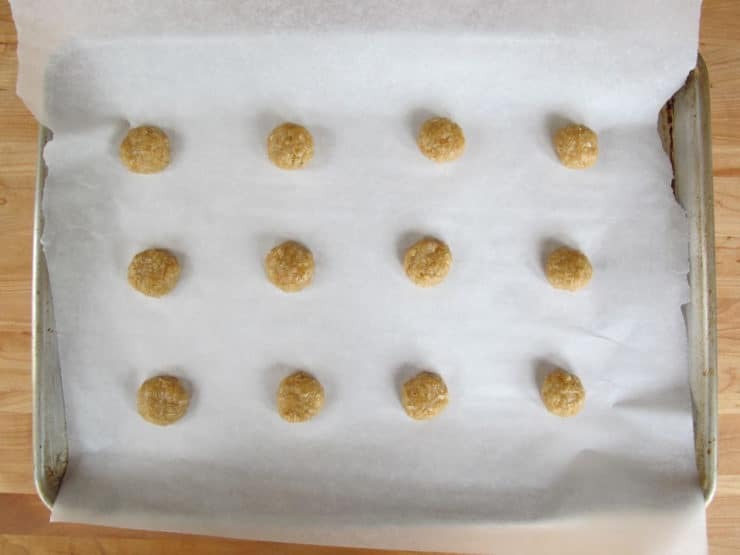 Bake the biscuits in preheated oven for 10-15 minutes or until golden. Allow the biscuits to cool on the tray for a few minutes, then transfer to a wire rack to cool completely. Just to let you know, Treacle is NOT Golden Syrup. Treacle is much darker and has a strong Molasses like flavour. 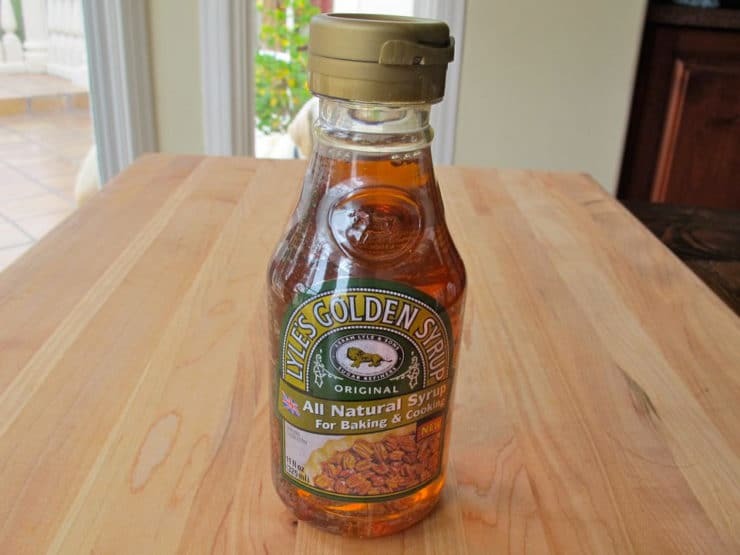 Golden Syrup is on its own for taste, not like Honey or Corn syrup, Maple syrup. It is more of a Caramel flavour, super sweet but distinctive. 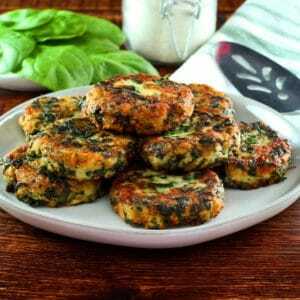 It is fairly simple to make, even YouTube has some authentic recipes. When done properly, it takes on that magnificent Golden colour. 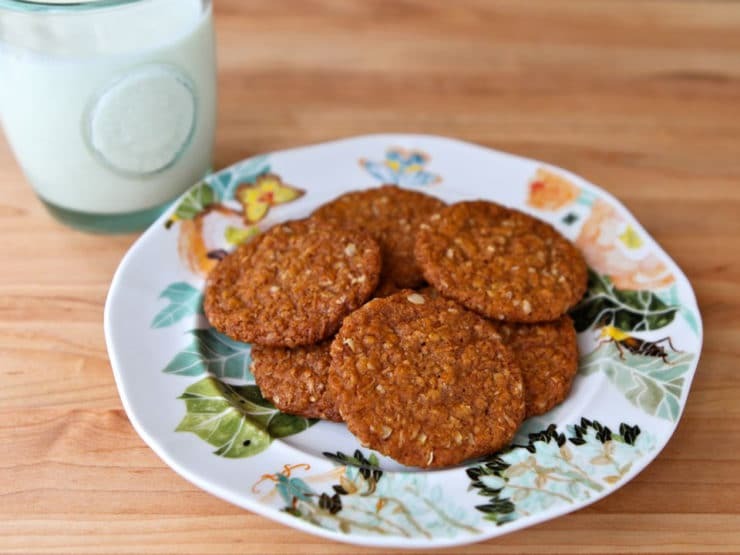 My mother made Anzac Biscuits for Anzac Day back in the day in New Zealand, and if she had no Golden Syrup, would use Treacle . Still nice to eat but quite a different flavour overall. Other than that, this recipe is spot on! Even my NY born mother in law is impressed! Just made these to bring to a Canadian Thanksgiving lunch. Fabulous recipe. The taste and texture is just like the Anzacs I ate in Australia. I substituted dark organic honey for treacle and also added a a pinch of cinnamon. I used Portuguese sea salt. The result was very yum! The pages linked to the Aussie government recipe page in article and comments no longer exist. They are at https://www.awm.gov.au/articles/encyclopedia/anzac/biscuit/recipe now. What would be a good replacement for Treacle? Maple syrup. It’s not exactly the same flavor, but it will work here. 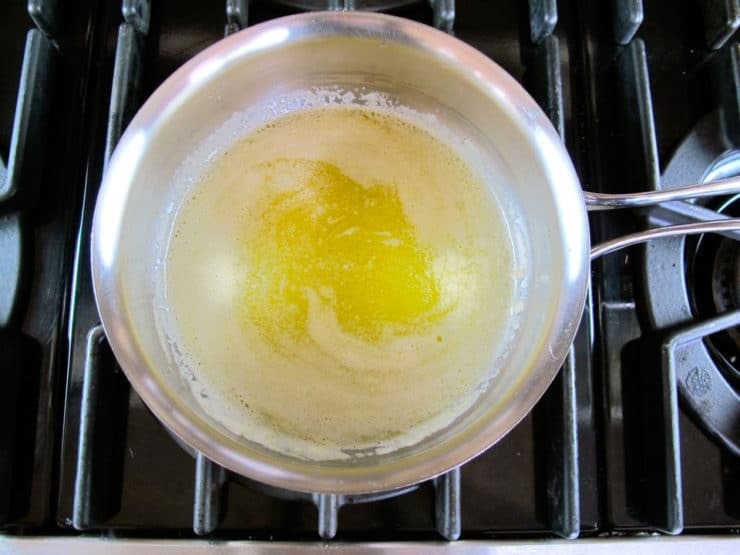 Do the butter syrup baking soda mix in the pan on heat. The more it fluffs up the better. Be sure to be car full forming them as they will be hot. I want to re-submit the question asked by Scott who “shudders” at the thought of coconut. I, too, am not terribly fond of coconut, but I’ve discovered that the texture of today’s coconut is very different from the coconut my mom used when I was a youngster—it was the texture of dry grass). Also, I’m in part making this biscuit for my 94 year old neighbor who grew up in Australia; she used to eat them growing up but she doesn’t like coconut either. So I assume there must be another dry ingredient that can be substituted for the coconut. Trecle is very similar to simple syrup or sugar syrup. You can make your own simple syrup but use turbinado to get the golden color. These biscuits were part of the “Saturday baking” my mother and aunt used to do. They’d fill about ten sunshine powdered milk tins with biscuits. anzacs were the most popular. I’ve just stumbled upon your website which is fabulous. I cannot wait to make this recipe. For years I have been searching for something similar to a biscuit I have tasted and now this seems to be it. I live in South Africa. VJ, you can buy Lyle’s Golden Syrup at Cost Plus World Market. It even comes in a plastic squeeze bottle. Apparently the Brits rail at that (the *authentic* version comes in a tin), but I’m a klutz and tend to cover myself with gooey syrup while trying to manage the cover for the tin. Enjoy! I actually just baked one batch of Anzac biscuits today and the recipe I found online is exact same as one you posted. I didn’t have syrup so I used molasses instead and it turned out well. I really like how you describe procedures/steps in your article and with pictures it really helps. This recipe, in my mind, could be the elvish waybread called lembas in The Lord of the Rings. I will have to try them. Its a shame that we don’t have treacle here in the US. Wonder if sorghum molasses would work? Golden Syrup is available at World Market. i’m in the states…i know what treacle is, but we don’t have it. what’s a good substitute? molasses? dark corn syrup? thank you! Lydia, try Karo dark syrup. I’m excited to try this recipe, I’m Australian but have been living in the USfor about 8 years. I used to make these all the time when I was at home… Just a heads up you can also sub the treacle or maple syrup for honey I always do. Thanks again! “Kosher key” What has that to do with it. What about Halal Key? Thanks for the reminder. I have more than one recipe for these bookmarked (or torn out), but never got around to making them. I adore practically anything containing coconut (except, oddly, pina coladas). Now that our nest is empty, baking treats more than once a week is dangerous! For Passover, Molly Wizenberg’s ridiculously easy “Winning hearts and minds” chocolate cake (I used matzo cake meal) was a huge hit; in fact, an encore was demanded! never heard of these before just learned something new about food in australia thanks tori- i wonder if you can use coconut milk or cream instead of coconut i have cans of those here from cooking pad thai and tom yum soup all the time..
You would never want to use coconut milk instead of desiccated coconut. Very different products. You almost ‘lost’ me with the mention (shudder) of coconut, what could be used to replace that? 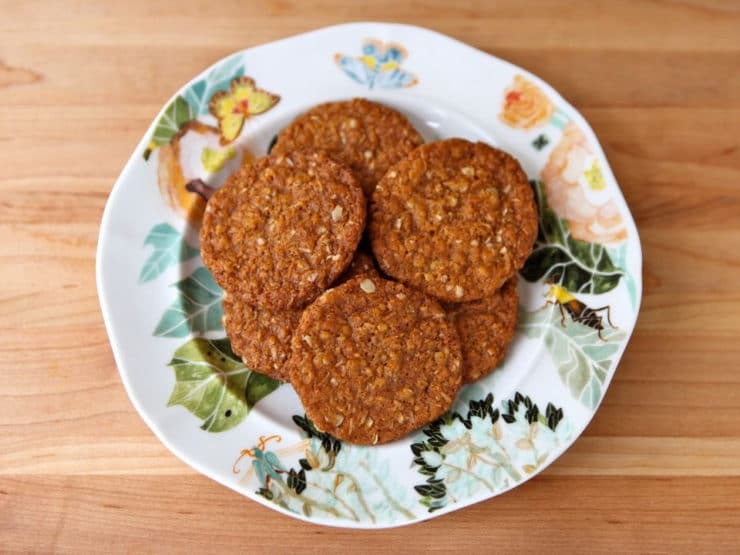 Hi Tori, todah for the well-wishes for today and I’m glad you like our Anzac biscuits! As for the texture..there’s no right or wrong..I like them soft but my hubby likes them dryer and more like a gingernut. Any way you cook them – they’re good!